It takes detail orientation, math skills, and personal integrity to run the numbers for an entire organization… or even a small part of one. 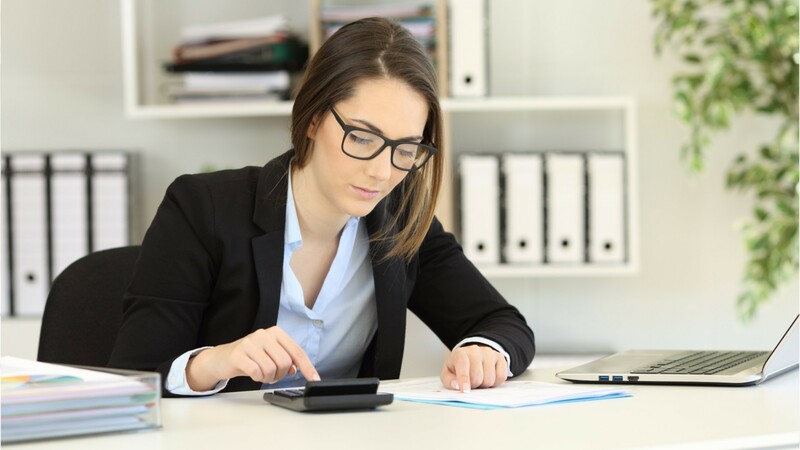 Bookkeeping, accounting, and auditing clerks bring those qualities to work producing financial records… so that organizations know exactly how much money they’ve spent, what is owed to them, and their total profits and losses. Bookkeeping, accounting, and auditing clerks use specialized computer accounting software to enter information from receipts or bills. They may handle payroll, billing, purchasing, and monitor overdue bills. Effective bookkeeping requires regular communication with clients as well. Some clerks are full-charge bookkeepers who oversee an entire organization’s books. Others, especially at larger companies, are accounting clerks who handle specific tasks. They all use basic math throughout the day. Most bookkeeping, accounting, and auditing clerks work full time, in offices, although part-time schedules are not uncommon. Additional hours may be required for audits, during tax season, or to meet end-of-fiscal-year deadlines. Although a high school diploma or equivalent is required, most employers prefer candidates with some college coursework in accounting. On-the-job training can last up to one year. Clerks must have basic math and computer skills, including knowledge of spreadsheets and bookkeeping software. See more details at O*NET OnLine about bookkeeping, accounting, and auditing clerks. Bookkeeping, Accounting, & Auditing Clerks by U.S. Department of Labor, Employment and Training Administration is licensed under a Creative Commons Attribution 4.0 International License.